The International Journal of Asian Christianity (IJAC) has planned to organize a symposium on 8 & 9 Jan 2019 in Chennai, India. 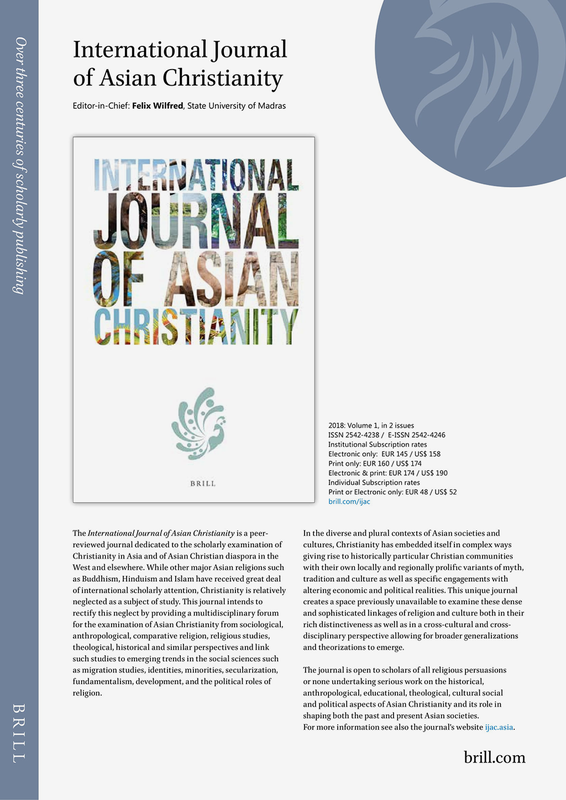 The purpose is to give an opportunity to scholars working in the field of Asian Christianity to publish their researches and make these known across the world in the academia through our journal. Further, the symposium will help the scholars for mutual exchange and enrichment. It will also seek to consolidate the International Academy of Asian Christian Studies, closely associated with the journal. IJAC is a biannual, double-blind reviewed international journal, published by Brill, Leiden, The Netherlands. Brill publishes only unpublished original materials. The length of the article should be between 5000 and 8000 words (excluding footnotes). 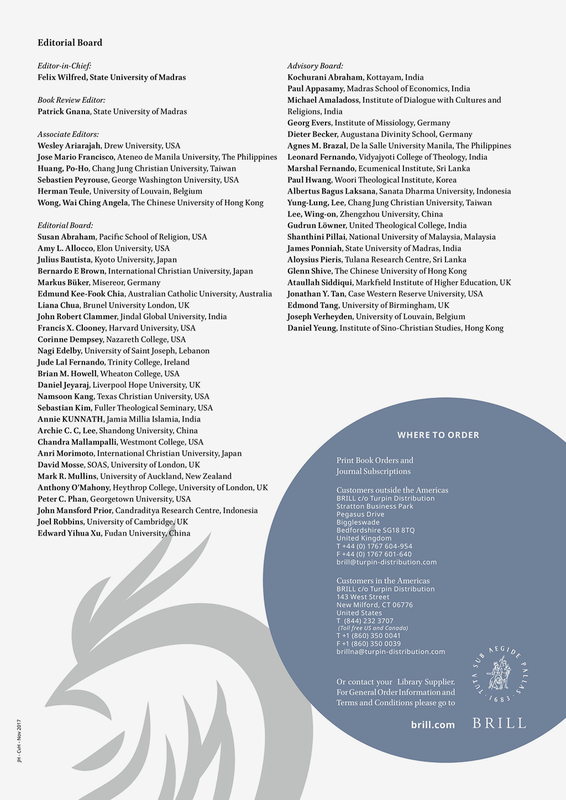 Before submitting the paper, the scholars are expected to send an abstract of about 500-1000 words to the Chief-editor at christianityasia@gmail.com The organizing committee of the symposium will scrutinize the abstracts. Once it is approved, the author could submit the fully worked out paper as manuscript via the Editorial Manager (EM) online submission system at: editorialmanager.com/ijac. The papers of scholars which are found to be of high quality will be invited to present them at the symposium in Chennai. We will provide board and lodging in a hotel in Chennai as well as transportation from and to the airport for the invited scholars. They are encouraged to find their own means for air travel. In case, one or other scholar is not able to find the means, we will be happy to support, though we work on a shoe-string budget. Since we have planned to invite limited number of scholars, we will give opportunity on first come first served basis.